Word on the Streep: Julianne Nicholson revealed as "Ivy"
Um, finally. 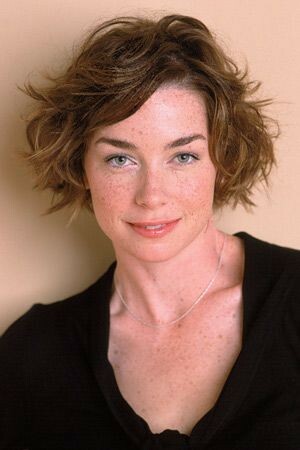 Theater Mania released an article yesterday revealing that Julianne Nicholson has been cast as Ivy in August: Osage County. I know. Who? She's mostly known for her television work like Law & Order: Criminal Intent and Boardwalk Empire. She's done a few small parts in films such as Kinsey and (omg) One True Thing. Nicholson certainly looks the part of mousy Ivy. Talk about the break of a lifetime, considering how high-profile the rest of this cast is. It hasn't been officially announced, but evidently screenwriter Tracy Wells casually mentioned her at a meet and greet for a new Broadway production of Who's Afraid of Virginia Woolf. I'm guessing it'll come out in a more formal way once shooting starts Monday. But I think we can consider this confirmed. All we have left is the pivotal role of Sheriff Deon Gilbeau. Riczhang said the original plan was to announce her on Monday, and he was surprised that the announcement was made earlier. My guess is that they will still push through with it on Monday, since none of the major news sources has reported this. Tracy Letts only detonated the bomb earlier than expected. Yeah, I wonder if TWC company was a little irked that Letts made this revelation. There are really no other sources confirming this information, but like I said above, I think we can consider this legit. Tomorrow we'll probably read it from Vanity Fair, and other more mainstream sources.